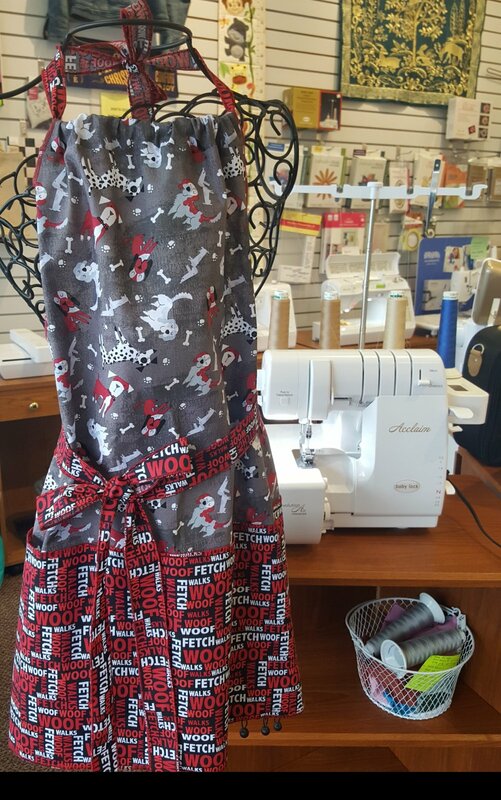 It's time to get that serger out of the box! You'll be threading like a pro after this class! We'll be using a 4 thread, 3 thread, and rolled hem to make an apron. Picture coming!